Yesterday morning winter put in a brief appearance in the town of Kiruna. 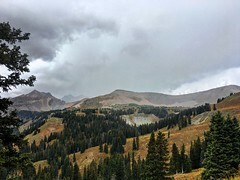 Flakes of snow were mixed in with the persistent rain which was falling out of a leaden sky. The taxi driver that took me to the airport said that the temperature was only 1.5 celcius when he had started work. 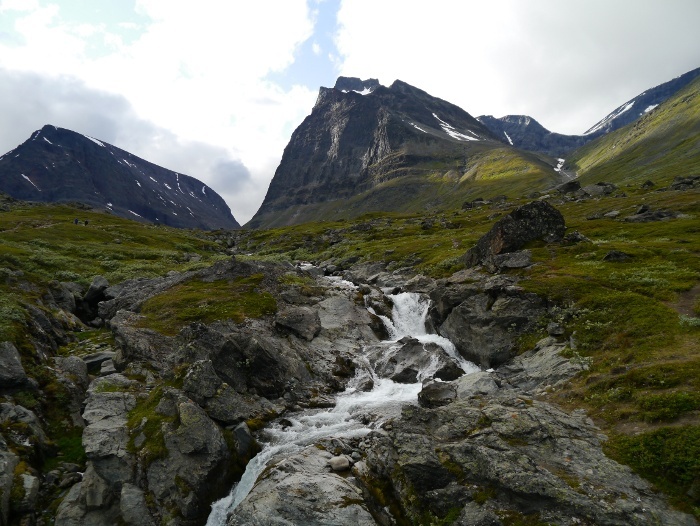 He thought that the mountains which I had spent a week walking through would now be under a mantle of white. I think I was exceptionally lucky with the weather, the first three days being almost too hot for walking with a heavy pack. The weather changes fast and on the fifth day I woke to wet snow falling on my high level camp. The day spent walking through swirling mists unfortunately hiding the grandeur above. 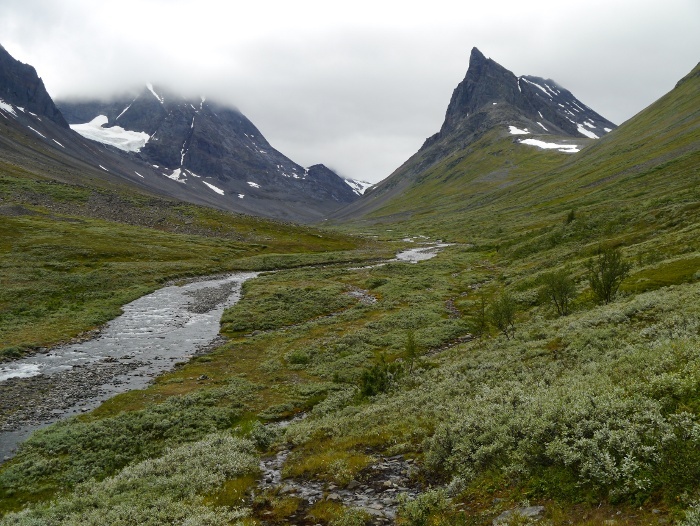 I set out to walk the first week of the Kungsleden trail but after the first day and a half found it too busy for my liking. I did a fairly risky river crossing and set off for three days along a series of much quieter side trails, meeting just a handful of people along the way. 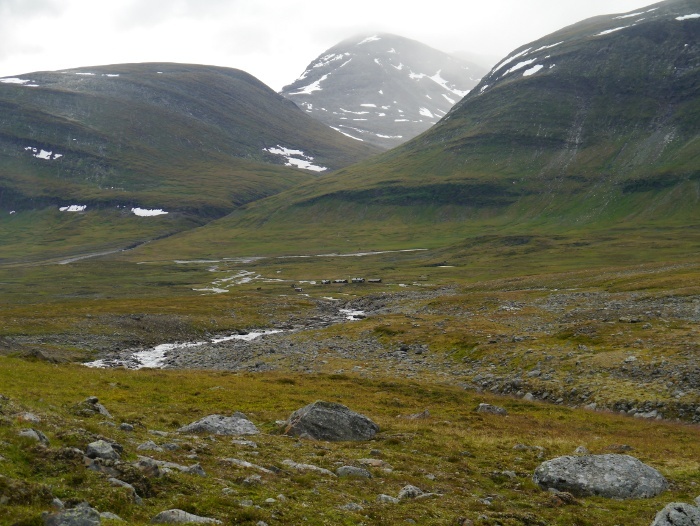 As I rejoined the Kungsleden later in the week I found the crowds even more of a shock. Crowds or not, it was the scenery that totally blew me away, a huge variety in such a short distance. 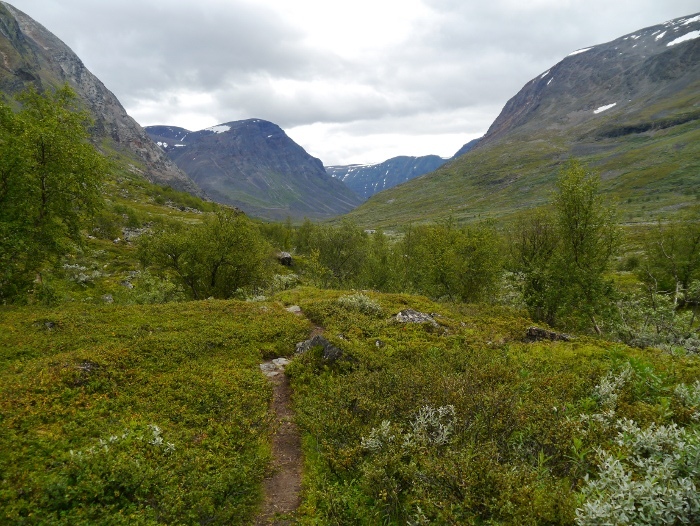 From the damp humid birch forests I climbed into a landscape that resembled the Cairngorms on steroids. A day later and I had the music from Lord of the rings going through my head. Jagged peaks punctured the clouds above one of the most beautiful primeval valleys I have visited. There is something rather special about wild camping when the nearest road is nearly three days walk away. 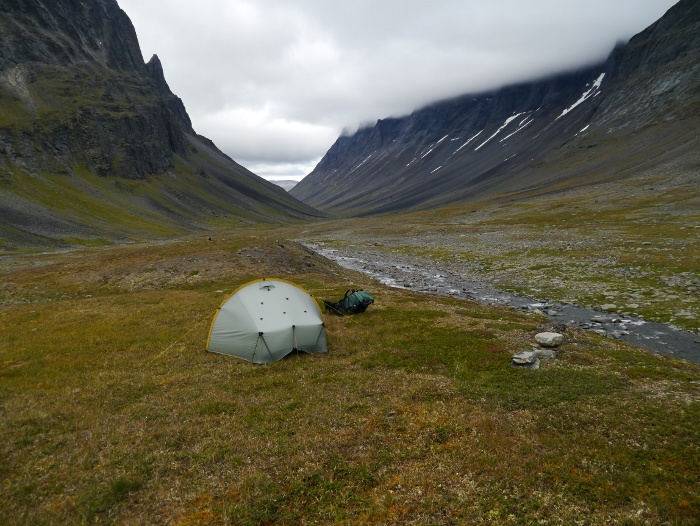 What did surprise me was just how difficult it was to find a decent wild camping spot as compared to the British hills. Space is not an issue, there is plenty of that. It’s what is under foot which is the issue. 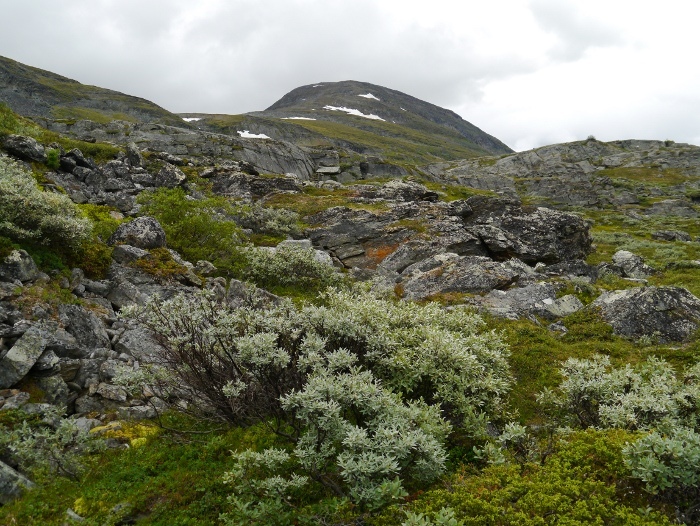 The ground is carpeted in thick wooded shrubs which I think may include Arctic willow. Definitely not something that you want to pitch a tent on if you value your ground sheet. Otherwise the ground is either solid rock, boulders or gravel. 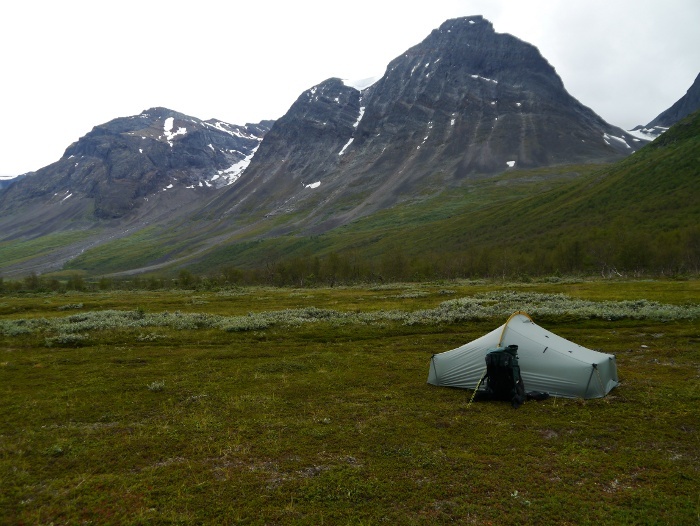 It often took a bit of searching to find somewhere suitable to pitch my tent. Anyway I will do a proper write-up soon. 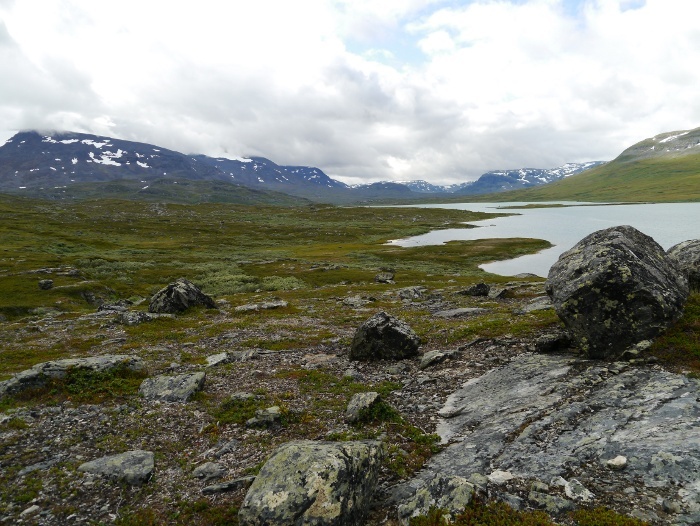 In the meantime here are a few photos giving a flavour of my 120 kilometer trek. 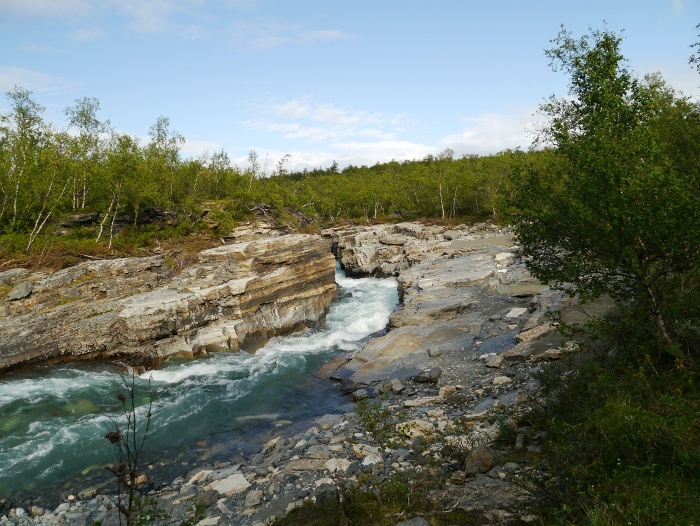 The Abiskojakka river though the Abisko national park was my companion for much of the first day. 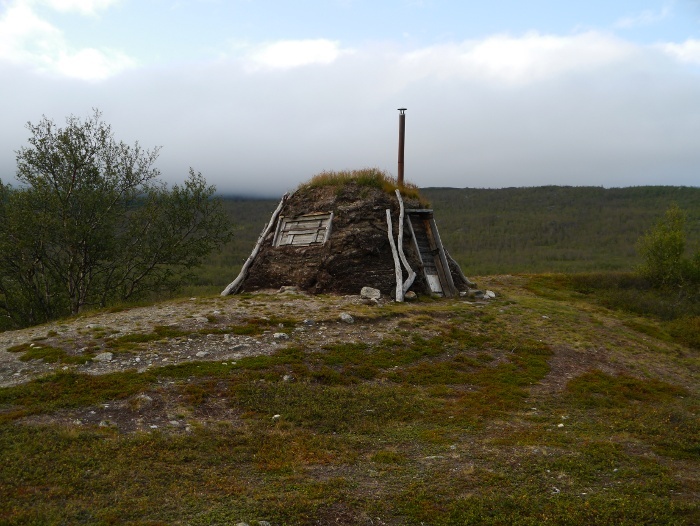 A Sami hut near Abeskojavri. 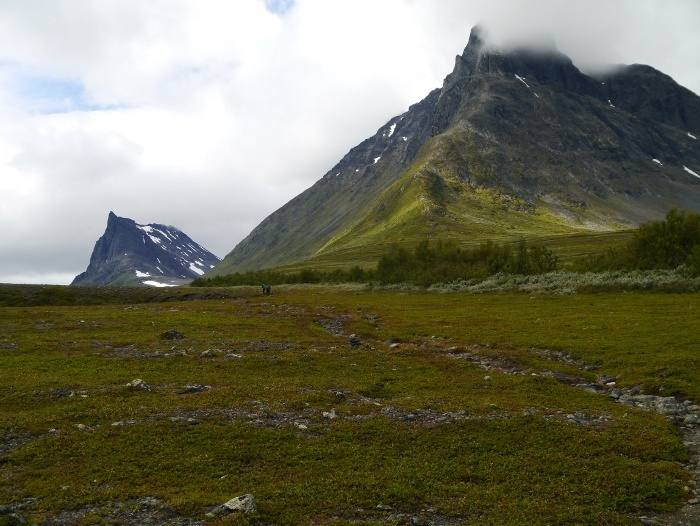 My first wild camp with the mighty cliffs of Njuikkostakbakti (1370 m) rising above. The view from my first wild camp. It reminded me of the Scottish Highlands yet the scale was simply vast. 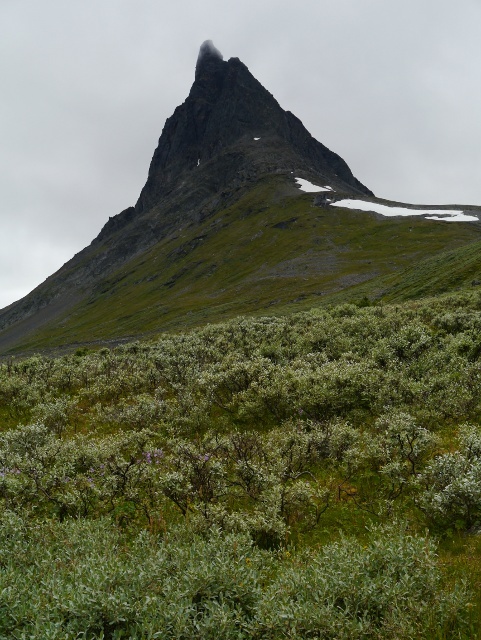 Visttasvarri (1299 m) rising above the rough landscape. 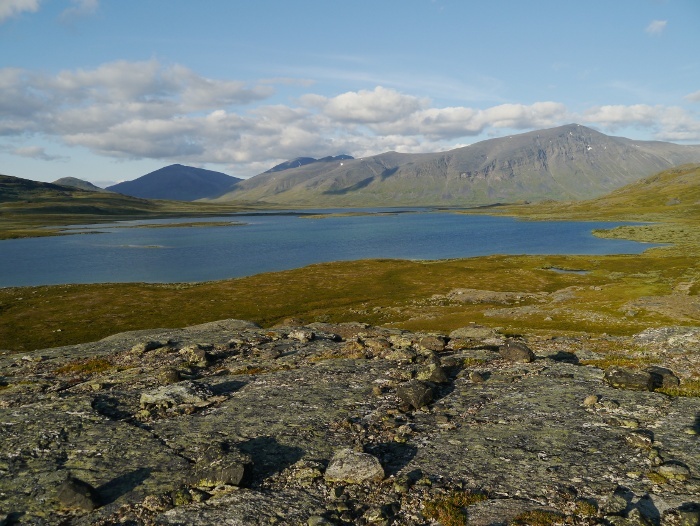 Looking across the length of Alisjavri from the south shore. The path disappeared after this point for a few kilometres. Crossing a low pass on the way to the sublime valley of Visttasvaggi. Visttasvaggi took my breath away. 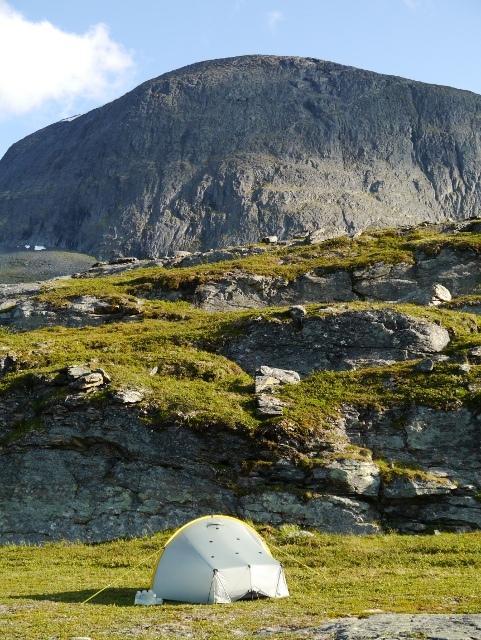 The satellite peaks of Passustjakka (1935 m) towering above my camp. I had a real feeling of being alone that night, the nearest road at the end of the valley being at least 40km away. Lord of the rings country as I enter Stuor Reaiddavaggi. The mighty peak of Nallu (1585 m) possibly the most impressive bit of rock I have ever seen. My highest camp above the Nallo hut, I awoke the following morning and it was snowing. 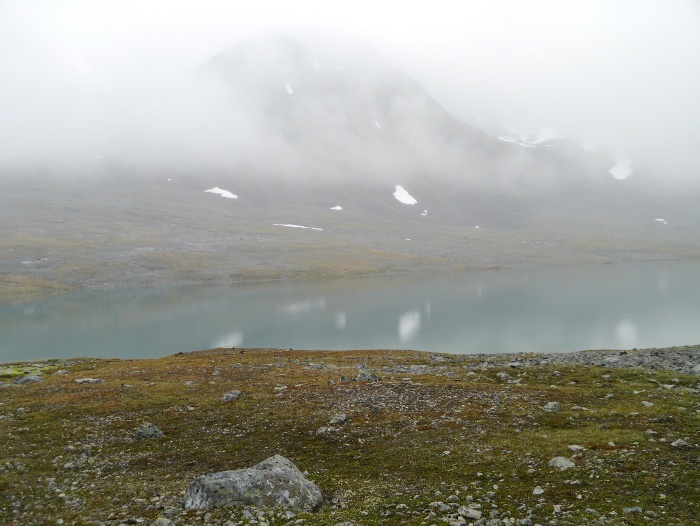 The highest point of the trip at 1056 m, the mountains hidden in mist. Descending towards the huts at Salka. 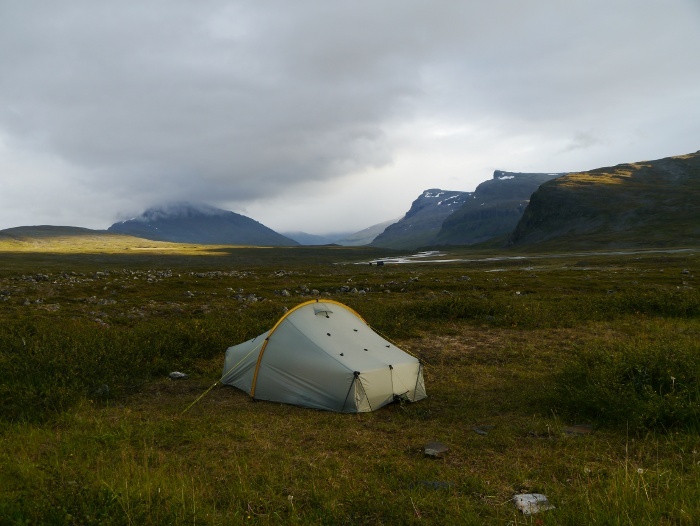 When I spotted an actual patch of grass I could not resist pitching my tent on it! A peak just off my map filled the sky with a huge wall of rock. 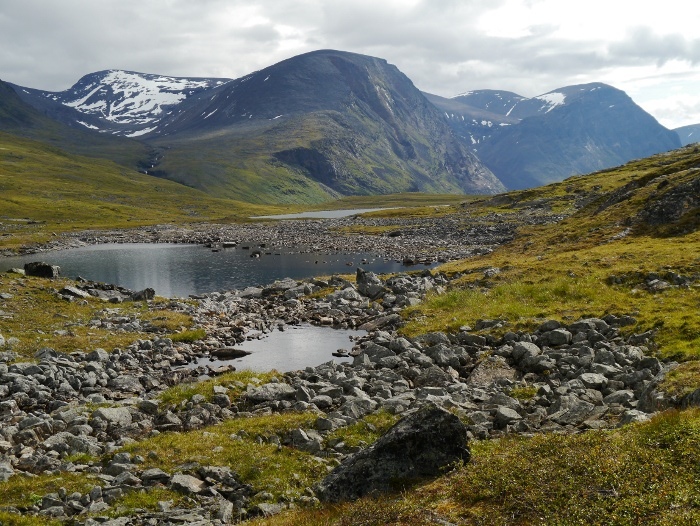 Looking up towards Duolbagorni (1662 m), a satellite of the huge Kebnekaise, the highest peak in Sweden. Seemingly endless birch forest on the way to the road head at Nikkaluokta. I finally managed to squeeze the pile of gear on the bed into my rucksack. I know that it is traditional for bloggers to do a gear list for such trips but I can’t be bothered. I’m just taking my usual stuff and a spare pair of underpants. It’s going to take 48 hours to get to the start of the trail, I suppose that is part of the adventure. Both myself and Corrina had the Friday off work and the weather forecast was excellent. 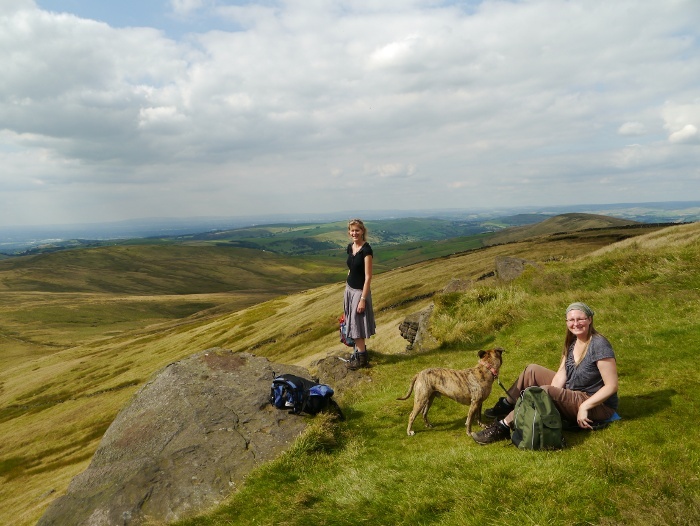 She surprised me by agreeing to join myself and Reuben for a short walk in the Peak District. 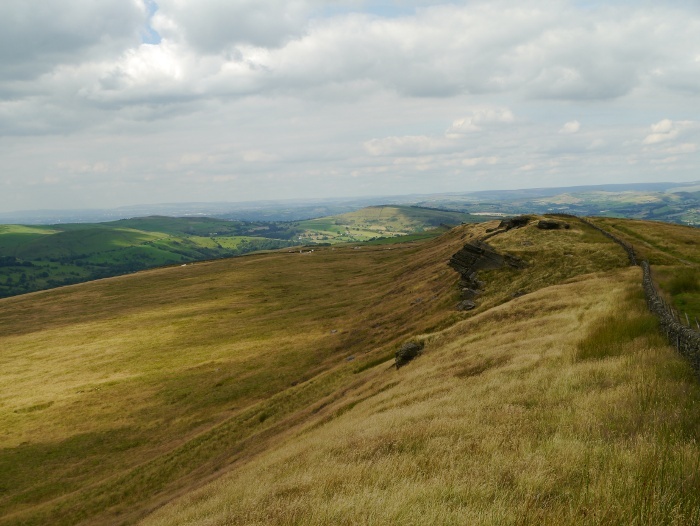 I therefore planned an easy route up to the summit of Shining Tor from the Goyt valley. We had a lazy morning and did not set off from the car park at the Errwood reservoir until nearly 2.00pm. 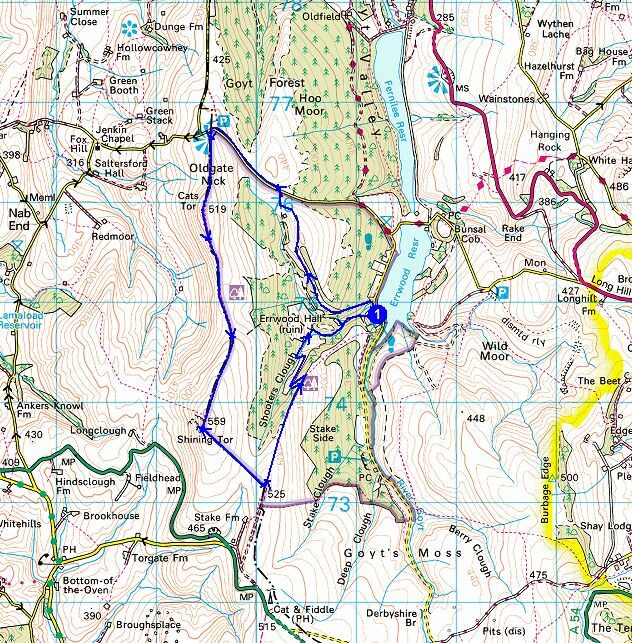 The idea was to finish the walk and head to a pub for dinner before the drive home. The car park was pretty busy considering that it was a weekday. I’m not sure that I would want to visit the valley on a sunny summers weekend, I would imagine it would be packed. A pleasant surprise is the fact that parking is still free. Within a couple of minutes of walking back down the reservoir road I was fuming and on full on swearing under my breath mode. The verges were covered in litter, including that from takeaways which had clearly been discarded from moving vehicles. The knuckle dragging nature of some of my fellow human beings frankly often astounds me. What goes on through their pea sized brains as they decide to visit a beauty spot and then make a bleeding mess of it? I may have used the term ‘f*** nuggets’ a few times as Corrina quietly walked alongside me. Thankfully the ‘f*** nuggets’ are firmly welded to the seats of their cars and are therefore unable to drag their stupid bodies away from the road. On the other side of Shooters clough bridge a path led steeply up through the beautiful woodland. In the warm and humid air we were soon sweating buckets, even Reuben was slower than usual. At a junction in the path we decided that we did not want to lose any of the height we had gained and continued onwards, the path not marked on my map. 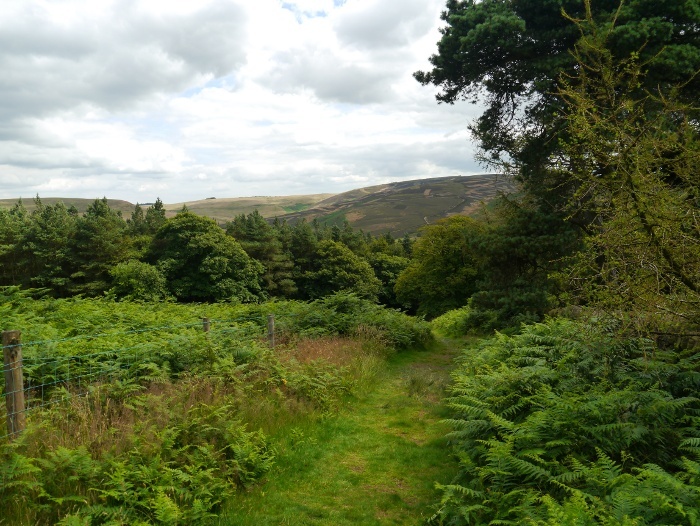 It ended up climbing up along Foxlow edge through thick jungle like vegetation, the surrounding moors filling the horizon. 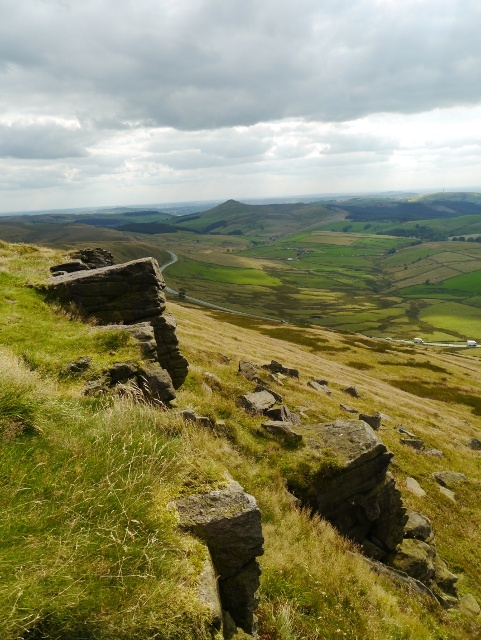 Before the highest point of Foxlow edge I noticed a small outcrop of rock that overlooked the wooded valley far below. Surrounded by cropped grass it was the perfect place to stop for lunch, a gentle breeze providing welcome relief. The air unfortunately was full of flies, most of which decided to bother Reuben, his head a buzzing mass of them. He happily snapped away at them, probably eating a few dozen. Eating our sandwiches a familiar figure passed by the wall and we all paused to look at each other. It turned out to be an old friend of ours Kate, who we had not seen for a few years. 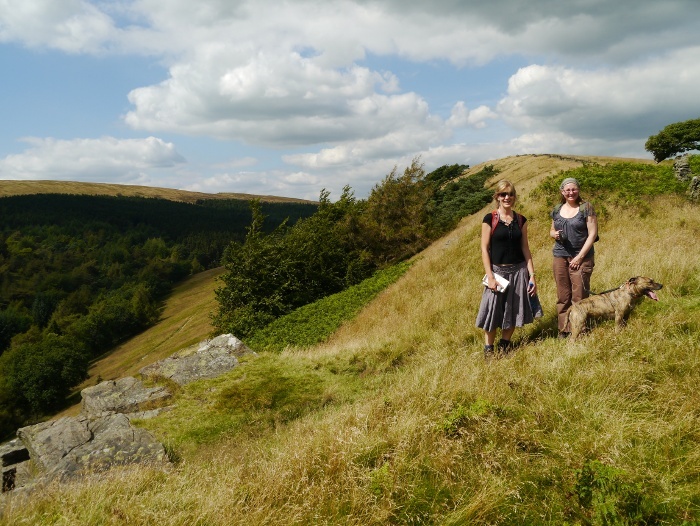 A huge coincidence to bump into each other in the middle of the Peaks and we sat for a while catching up. 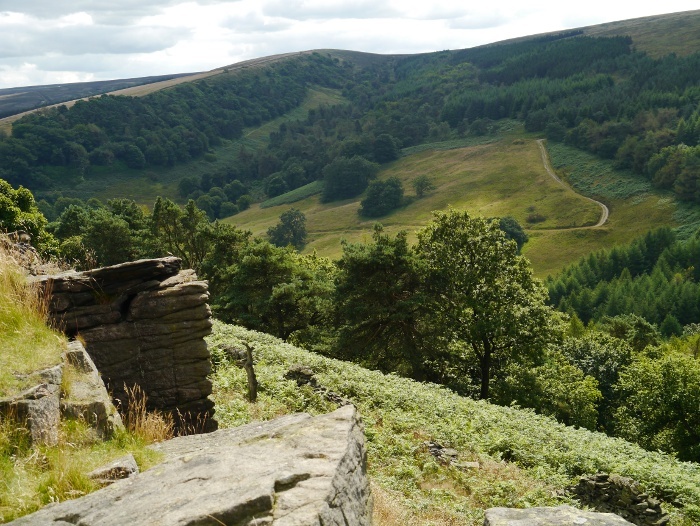 The last time that Kate had visited the Goyt valley was years ago with myself and a group of friends. The conditions then were very different, a cold winters day with frequent downpours. 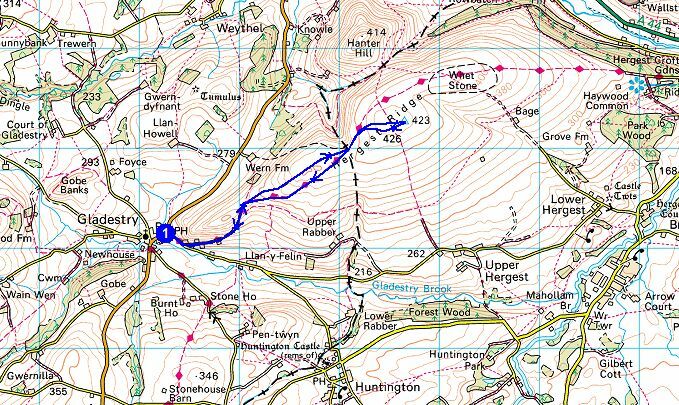 Most of Kate’s route coincided with ours so we set off together, following the wall along Foxhall edge. 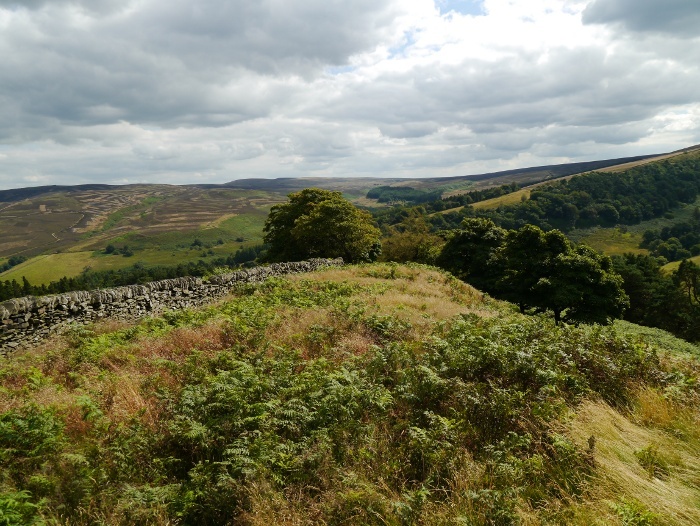 The views along here are extensive and I found that my attention was grabbed by the huge bulk of Kinder Scout on the horizon. We passed high above the Spanish shrine, located in a magnificent spot amongst the trees. However none of us fancied the steep descent to get to it. Our path descended gently towards the lane called The Street. 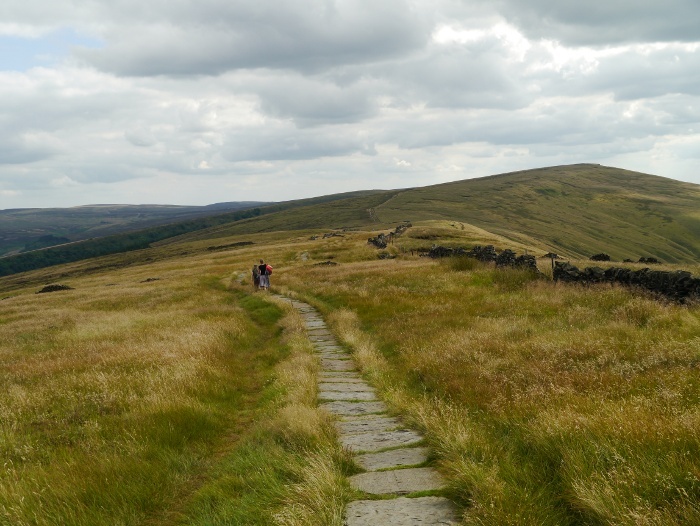 A path has developed on the other side of the road which means that a walk along the tarmac can be avoided. We joined the busy path towards Shining Tor from the summit of the road, many people gaining access from the high level car park. 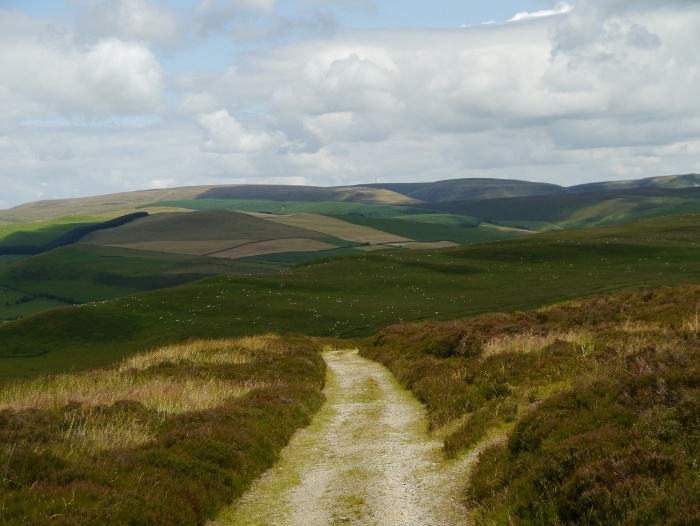 It is a splendid stroll along the undulating ridge and as we got further from the road the crowds thinned out. 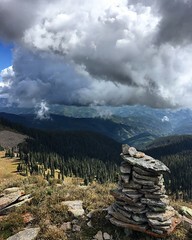 The views are magnificent, especially to the west where the hills meet the flat plains. Although it was a hot sunny August afternoon there was a hint of autumn in the air. 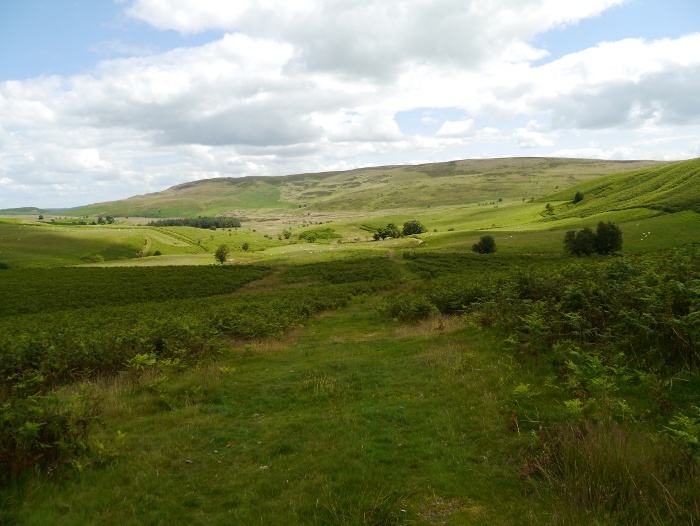 The moorland grass which up until recently was a vivid green has started to turn brown. This gave a lovely velvety texture to the hills. Once again I found myself suffering from hay fever whilst walking on the moors. Just to the west of the summit of Shining Tor is a small outcrop of rock that provides an airy vantage point, the ground steeply dropping away. The cone of Shuttingsloe was a prominent feature of the view. Unfortunately we could not hang around for long due to the combination of flying ants and the clouds of biting midges. I would imagine that the midges would have been even more hellish later that evening once the sun had lost its strength. A kilometre later we parted company with Kate as she headed towards the Cat and Fiddle. 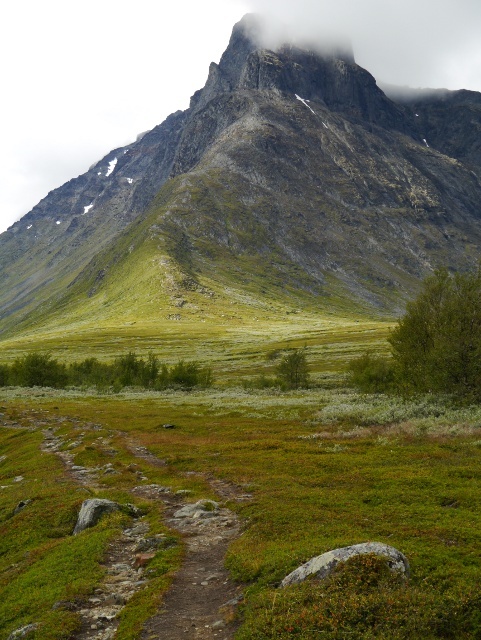 We headed north along a grassy path that follows a wide ridge. 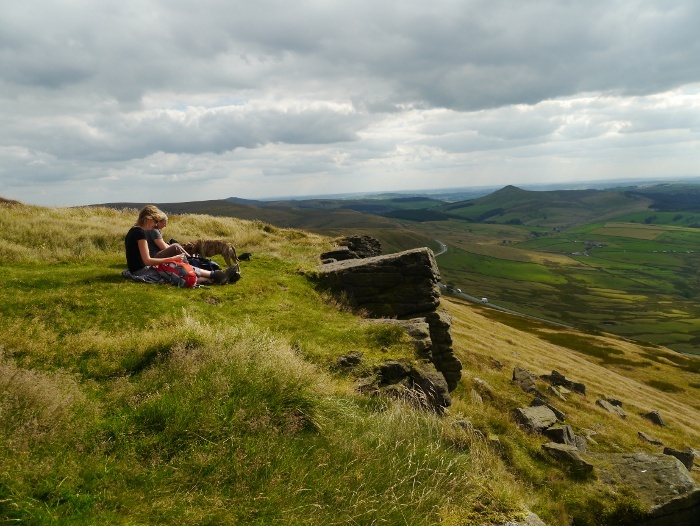 A family and their dog was quickly catching up so we stopped and had a second lunch overlooking Shooters clough. Unfortunately they also decided to stop right next to us which managed to raise my internal annoyance factor once again. We had only stopped so that they could pass us by, especially since their Jack Russell was a bit squeaky around Reuben. 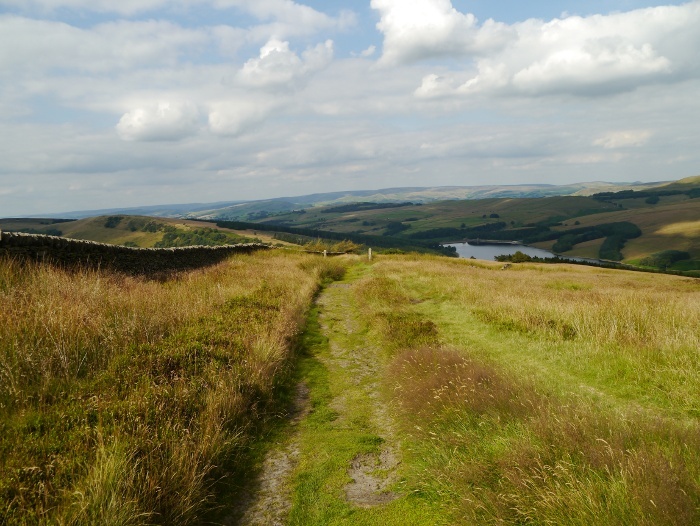 On the positive side the view back towards Foxlow edge was rather special. The squeaky dog group soon left us to enjoy the peace and quiet before we followed at a distance down the switchback path through the woods. 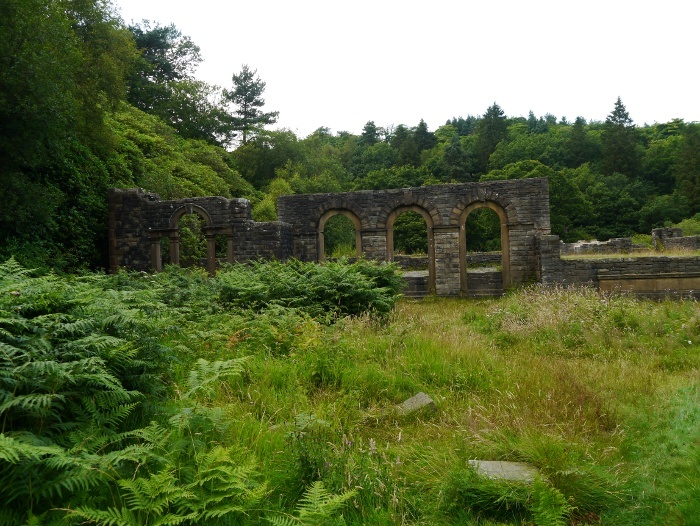 One of the attractions of this area is the rhododendrons that surround the remains of Errwood hall. 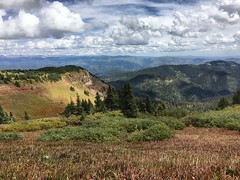 The hillsides are cloaked in the things and are meant to look pretty spectacular when they flower in the early summer. I’m not sure what benefits they bring to our native wildlife though. The ruins of Errwood hall itself was half hidden amongst dense vegetation, the warm humid air making the location feel rather tropical. A short stroll back to the car park where we managed to fill the car full of ravenous midges. The one way road up Goyts Clough was a joy to drive, although accompanied by both of us scratching those itchy midge bites. I am a rather cautious person and don’t like to rush into things. Therefore I thought that I should wait for 20 years before asking my partner Corrina to marry me. She said yes! 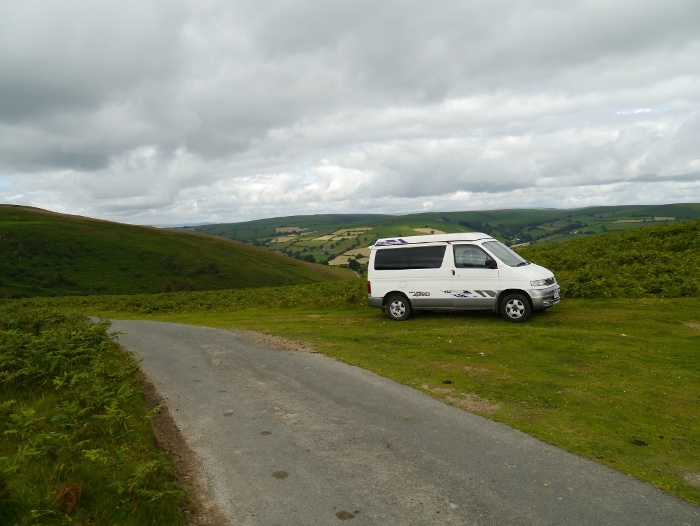 The high point of the road that crosses the Begwns was a perfect place to spend the night in the Bongo. I was undisturbed until the first of the early morning dog walkers appeared. 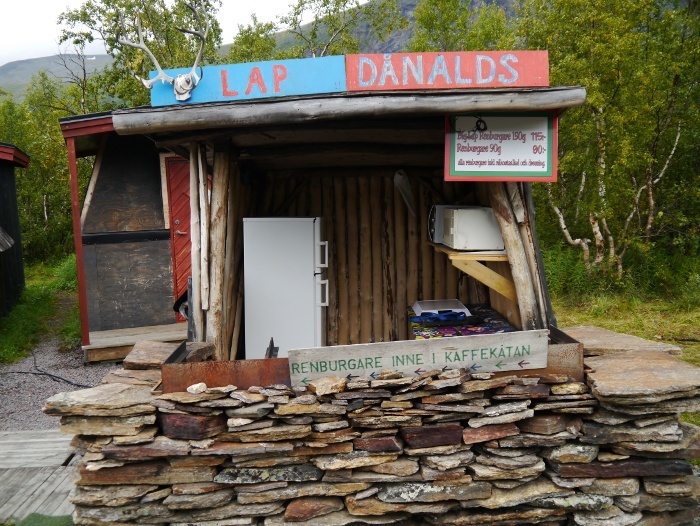 I had a leisurely fried breakfast before setting off in the van via a series of very narrow winding lanes. The pass above the isolated village of Glascwm was full of large shiny 4WD vehicles, all lined up in a row. Very odd considering there was no one about and it gave the area the feel of a Chelsea car dealership. I squeezed the Bongo onto the verge a little way down the hill and walked back up to take the track that contours across the side of Little hill. 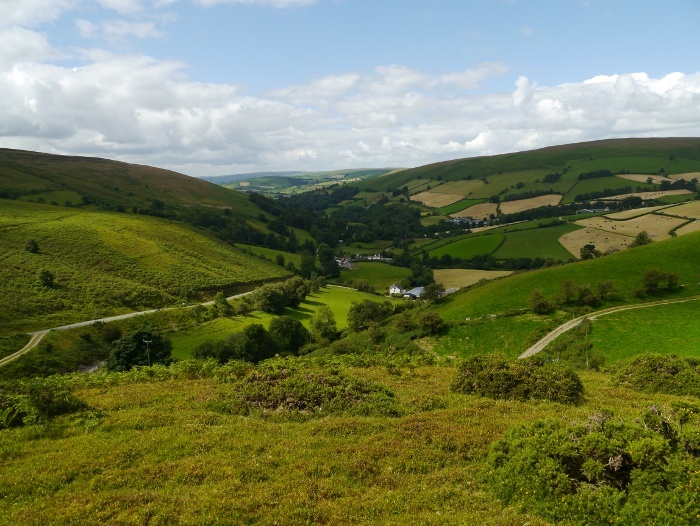 The village of Glascwm looked idyllic tucked into the deep green valley below. 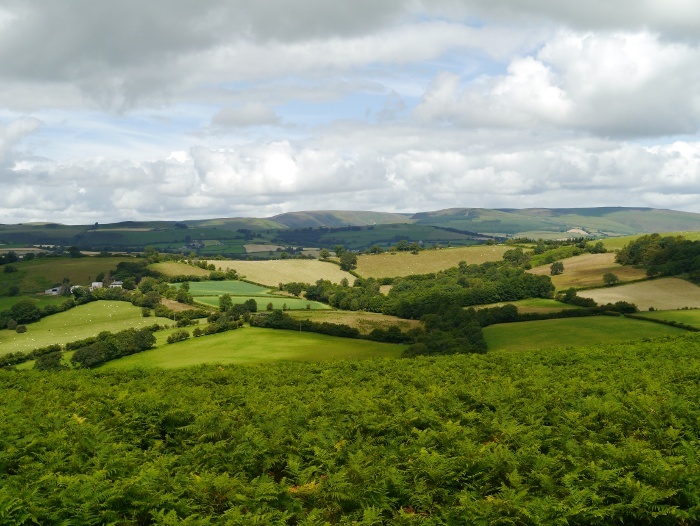 Once again these hills provided exceptionally easy going as a wide grassy track took me through the bracken. 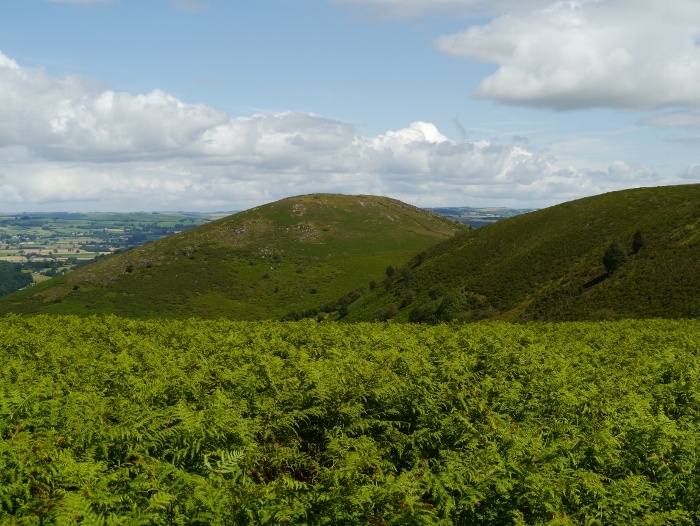 It’s a shame that the bracken has taken such a foothold in the area. The hills are pretty much choked in the stuff, almost to their summits. However I bet the area looks pretty spectacular in the autumn then it dies down and turns various shades of golden brown. A less defined track branched off to the right, which I followed before a final heather bash to the summit of Gwaunceste hill. 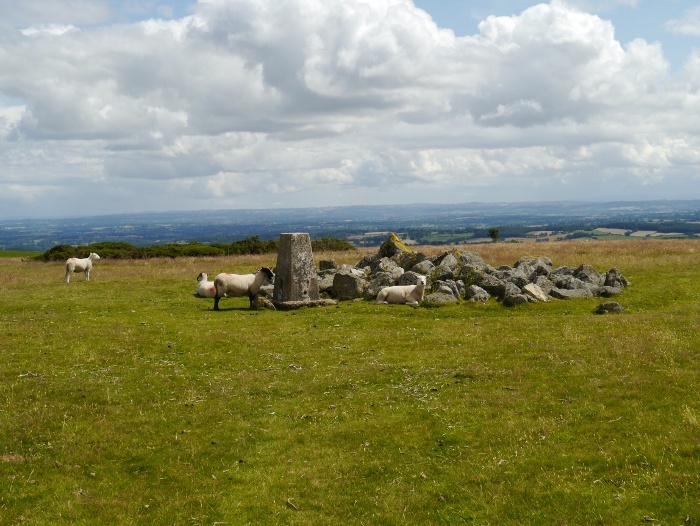 I sat for a while next to the trig point taking in the views, especially those to the west. 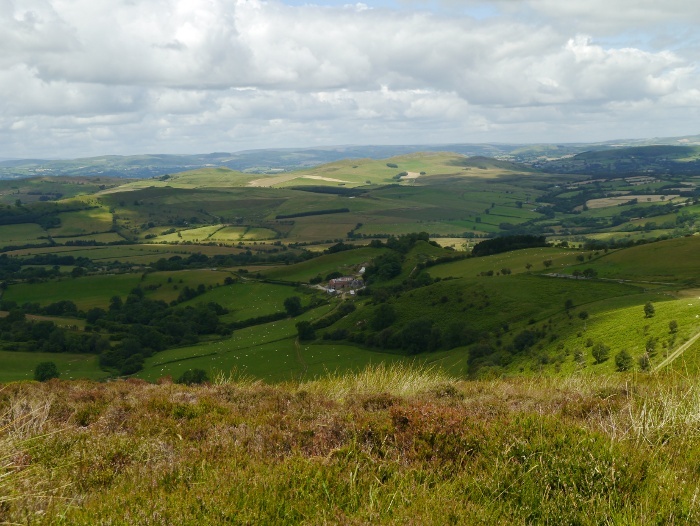 A patchwork of rolling green fields finally giving way to the more austere Cambrian mountains. I retraced my steps and continued on the track as it descended to the north. 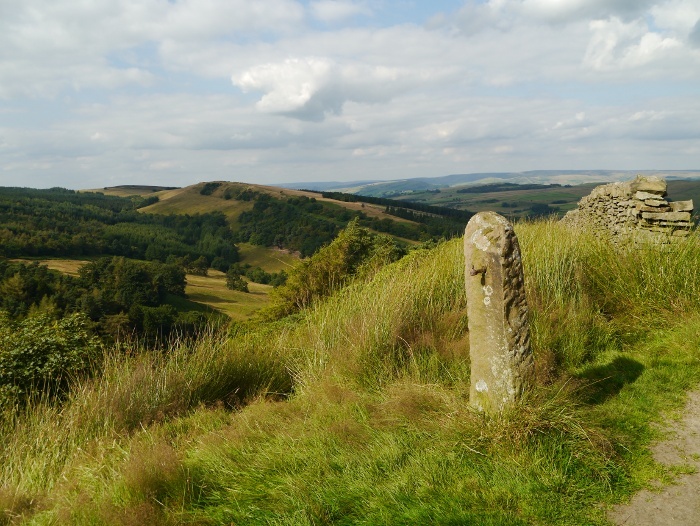 The high ground of the Radnor Forest was directly ahead with its prominent radio mast. 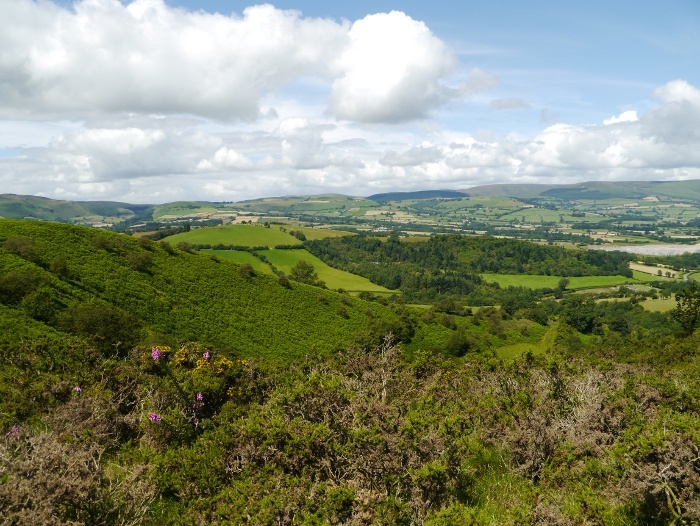 Following the edge of the moors the ground dropped steeply to my left, the isolated moorland of Llandegley rocks visible across the valley. 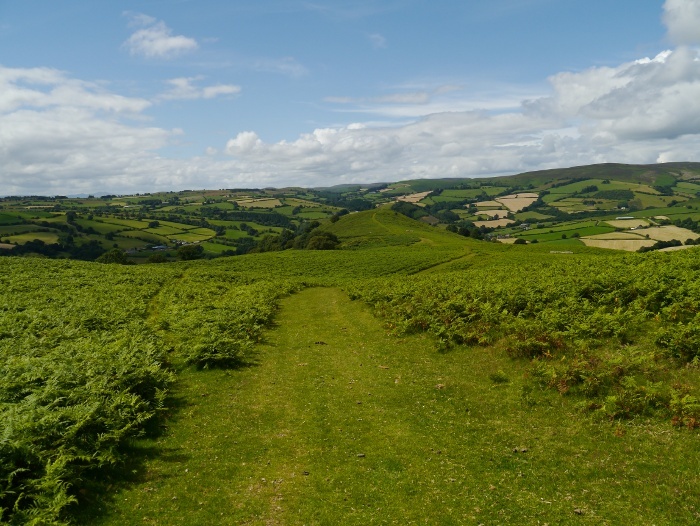 The next couple of miles were a joy to walk as a bridleway slowly climbed above one of the areas many Mawn pools, before dropping down into a hidden valley. The valley is not named on my map and it had the feeling of being totally cut off from the rest of the world. A bowl amongst the surrounding moors, where there does not appear to be a natural way in or out. I rested and had lunch on a fallen tree next to a moss encrusted drystone wall. I was really enjoying being out on the hills that day. Although they are pretty unspectacular they do have a real charm that is difficult to put a finger on. As I was packing up the only other hikers that I would see all day passed by with a cheery greeting. I continued east towards the stream that eventually flows out of the valley and forms Gilwern Brook. 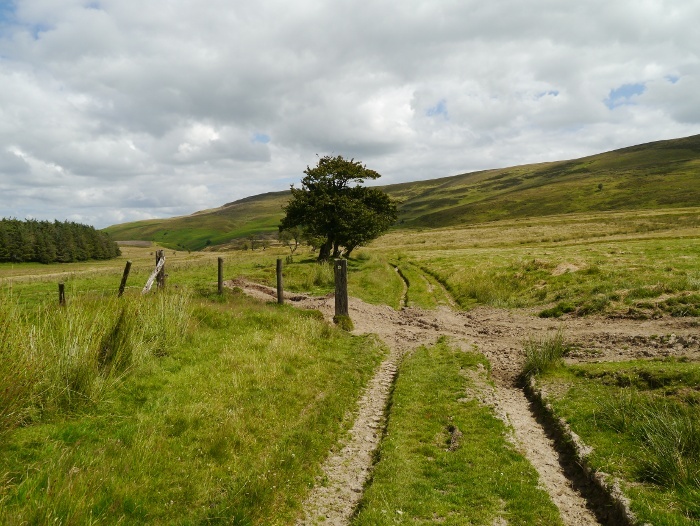 I managed to lose the bridleway for a bit when approaching the stream, briefly floundering amongst the bog. 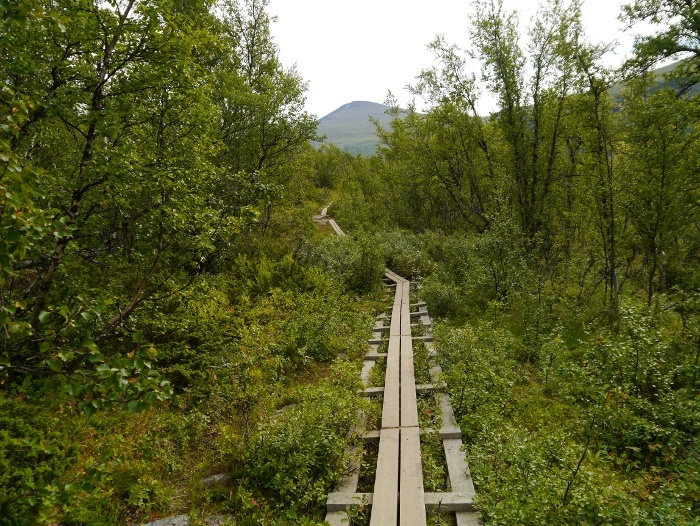 Back on course I found another well defined track which led to Pant-glas. This ramshackled building has a real charm and I have to admit that I was rather jealous of its owners. It appeared to be an isolated smallholding, complete with large greenhouse. 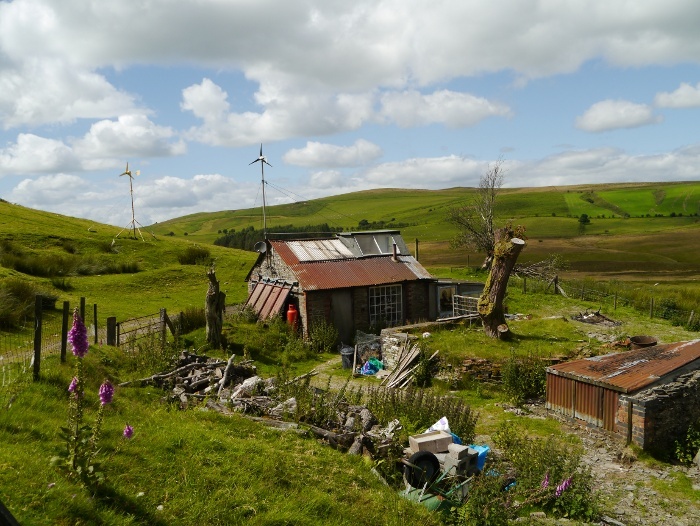 This is proper off-grid living with power being supplied by a couple of small wind turbines. It looked like at some point it had been connected to solar panels. Although it was clear that no one was at home I had to resist the temptation to have a nosy through the windows. If the owners read this and want to gift it to Backpackingbongos, please get in contact! The grassy track continued to climb, giving great views back across the off-grid dwelling to the extensive hidden bowl in the hills. 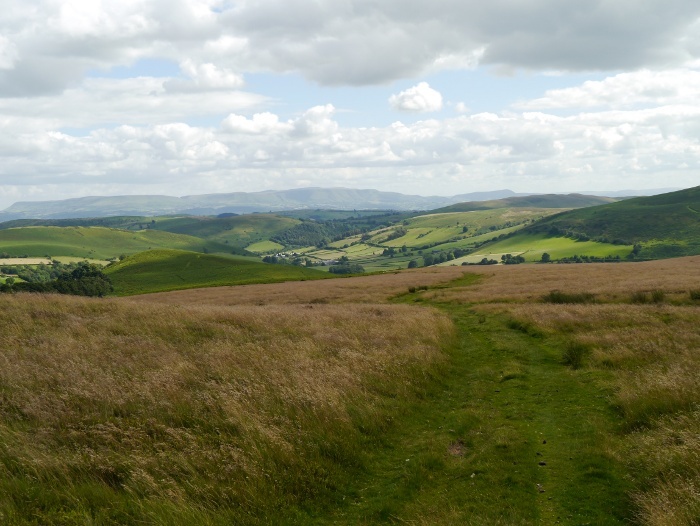 As I crested the hill onto the moorland plateau my day quickly went down hill. Rather than go over it once again, those who have not read it can follow this link to Get off my access land. I left the trig point rather pissed off to be honest, an enjoyable day had turned sour. 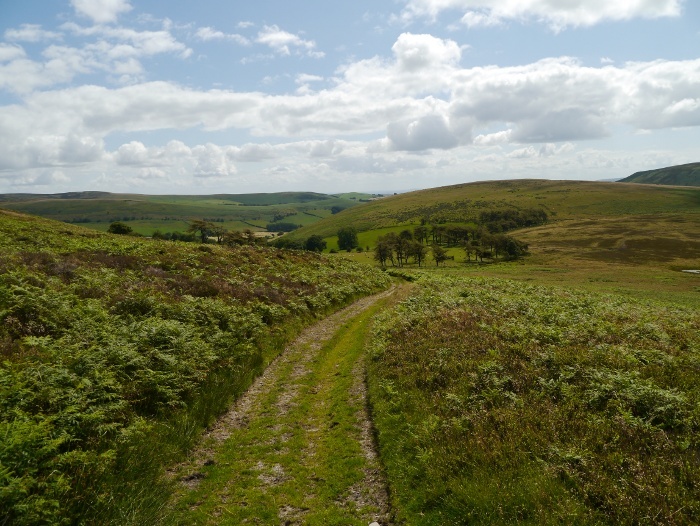 A narrow track through the heather soon turned grassy as it descended across Llanfihangel hill. I sat for a while, the excellent views south not lifting my mood. Another superb grassy path took me to a boggy col before a byway led down into the valley. A convoy of trail bikes noisily passed me by, kicking up a huge plume of choking dust that filled all my facial orifices. I wanted to shake my poles at them angrily but they had just as much right to be there as I did. 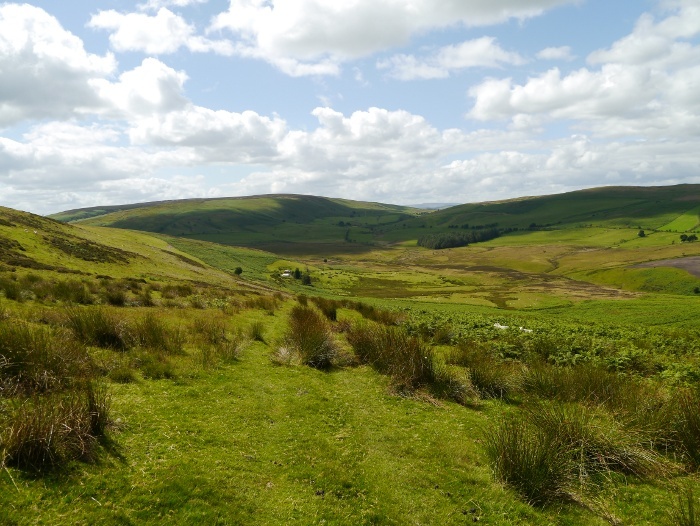 A climb through sheep pastures brought me back to my initial outward route which I followed back to the van. I sat and relaxed for a while and made a coffee. I was keen to bag Glascwm hill so set off in the opposite direction. 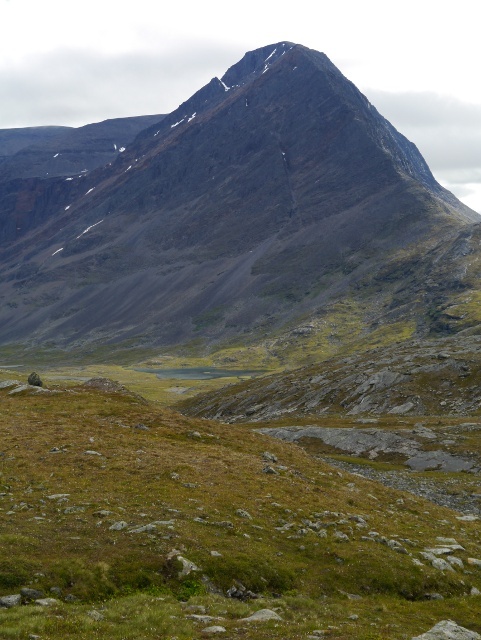 A track took me close to the summit which was marked by a tiny pile of stones. 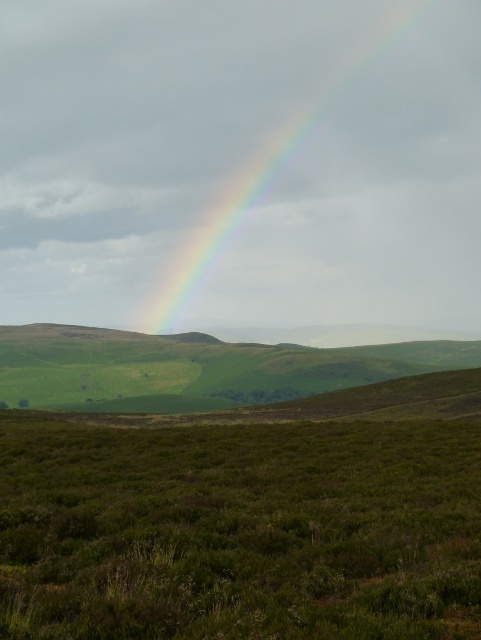 I did a little victory dance and offered a finger to the gamekeeper who had spoilt my day earlier. He had mentioned that this was on his patch. All around me the clouds were beginning to boil and churn, lines of showers tracking across the surrounding hills. A rainbow formed in front of me. As I descended the heavens opened and I managed to get my waterproof jacket on just in time. It was too late for my lower half and I got back to the Bongo a dripping mess. 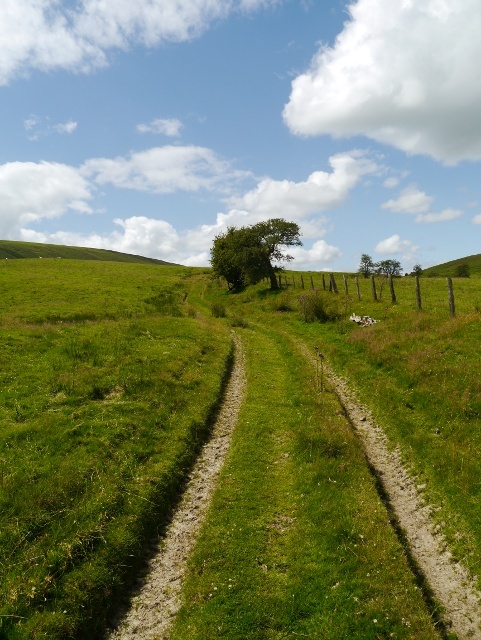 After changing into dry clothing I drove the few miles to the single track lane that crosses Llanbedr hill. An excellent spot was located just before the road plunges down into the Edw valley. During the evening the van was buffeted by wind and rain, brief glimpses of the sun giving a faint promise of another sunset. However it was not to be as a shower passed by just at the crucial moment. It was another peaceful night except for one slightly alarming moment when I was woken at 3am. I heard a slowly approaching vehicle with very load singing getting nearer and nearer, the occupants playing percussion by banging on the roof. Thankfully they trundled by without stopping and I could hear them for several minutes as they crossed the moor. I have a sneaky suspicion that drink / drug drive laws may not be strictly enforced in such rural areas! 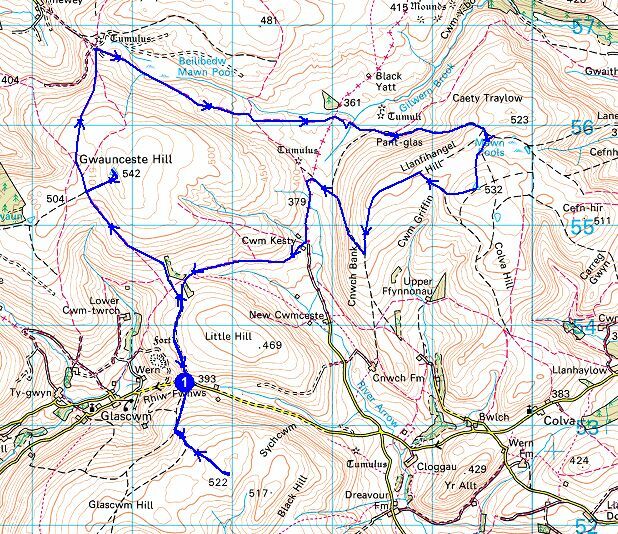 I had another slow leisurely morning complete with fry-up whilst I decided where to hike that day. I did not want to get home too late as I had work the following day. 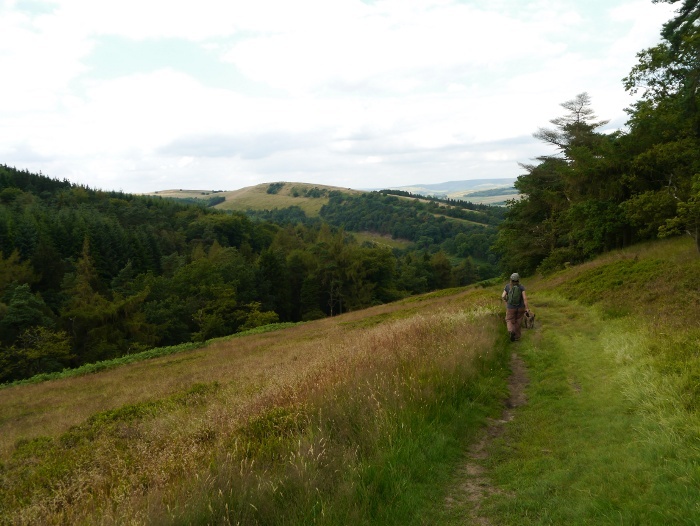 I thought that the Hergest ridge would be a good quick option and it was in a homeward direction. 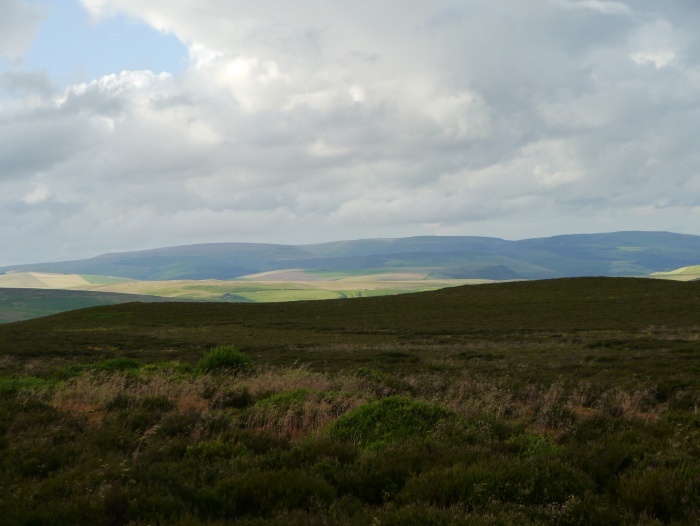 As I drove across the moor towards Paincastle I passed the same lot of 4WD vehicles that were lined up above Glascwm the day before. Once again there was no one around, most peculiar. Maybe there is a 4WD hill walking owners club? I parked up outside the school in Gladestry and followed the Offa’s Dyke path steeply up a lane. The walk to the summit of the hill was a simple there and back with superb scenery. The lane gave way to a tree-lined track which led onto open country. Once again the hill was infested with bracken but another superb wide grassy path made the going very pleasant. The ‘forbidden’ Colva hill which I climbed the previous day. Looking north towards the Radnor forest. The steep and shapely Hanter hill. 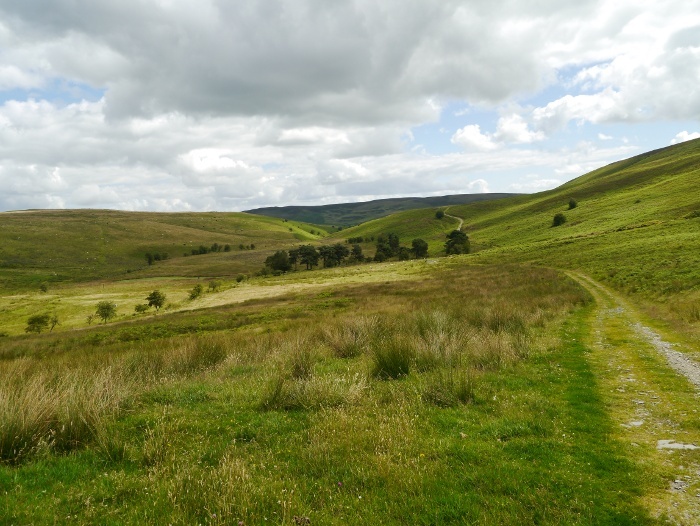 The path passed close to the top of a steep valley, the views to the north and west being extensive for a relatively low hill. 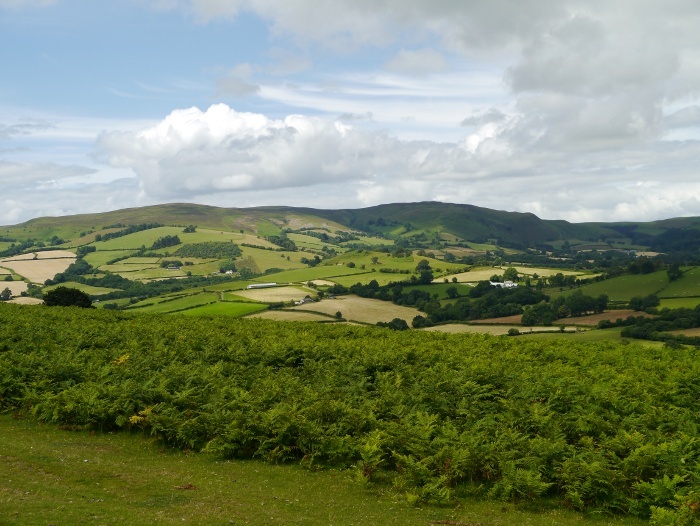 If the rest of the Offa’s Dyke path offers scenery similar to this I would be keen to walk all of it. 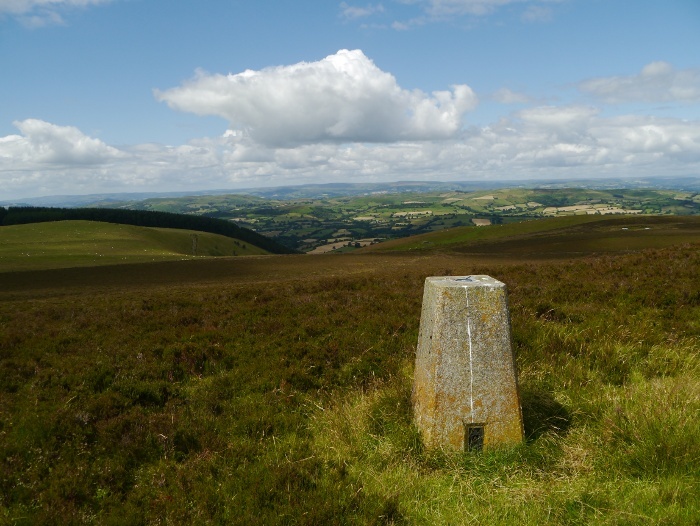 I passed the unmarked high point of the hill and walked over to the trig point. A truly excellent spot which I had thought would be crowded considering it was a warm and sunny summer sunday. Instead I only had to share it with the numerous sheep and a herd of fell ponies. The views east across the Midlands were only restricted by the summer haze. If it was not for a lack of water it would be a great spot to pitch a tent for the night. I soaked up the views for a while before reluctantly turning round and heading back down to the van and the drive home.